If you’re like most homeowners, you’re constantly thinking about how to upgrade your home. One area that’s usually a candidate is your bathroom. Whether it’s new lighting or a larger tub, there seems to be endless opportunities to modify such a small area. If you’re thinking about undertaking a bathroom remodeling project, here are four simple tips to follow that can go a long way to ensuring a successful outcome while saving money. It may seem costly at first, but it’s worth it to work with a professional to plan out your project. Rather than making assumptions and going at it alone only to overspend in the long run, it’s best to save both time and money by working with a designer or architect ahead of time. As tempting as it is to change everything around as part of your bathroom remodeling strategy, that’s not the best course of action. As you plan out your project, be sure to avoid any changes that’s going to require you to modify the water or gas pipes. Unless you’re upgrading to a high efficiency version, there may not need to switch out your toilet. Instead, you should consider changing the toilet seat and lid as that may deliver the upgraded look you want at a fraction of the cost. If you’re working with a small space, then you should consider bringing in open shelves as they can help make your bathroom look bigger and they’re cheaper than breaking down walls or cabinets. You can put your pretty towels and decorations on these shelves while your private items can still be stored in drawers. 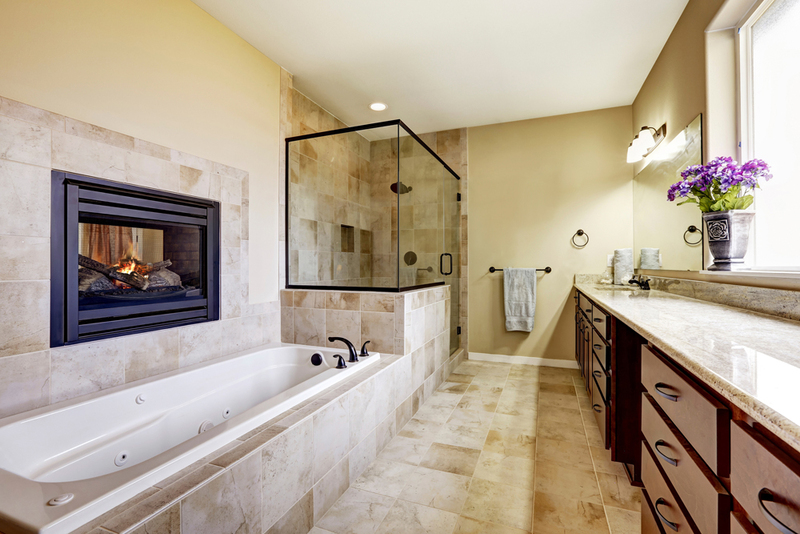 Starting a bathroom remodeling project is fun but it can get expensive if you allow it. Be sure to do your research and work with a professional to help improve your likelihood for success while sticking to your budget.